With the opening of its newest facility this year, 1,200-second grade students at the Harlingen Consolidated Independent School District will end their school year with the fundamentals for a life-long, potentially life-saving skill. This year, the district will launch the Safely Educating Aquatic Learners (SEAL) Swim Program, which is aimed at providing all second grade students the opportunity to learn the fundamentals of swimming and water safety. Facilitated through the opening of the HCISD’s Aquatic Center, a cutting-edge athletic and wellness facility, the building will host the program for all 17 of the district’s elementary campuses. Wellness will also be a focus, as students will learn about the health benefits of aquatic activities. One of the reasons the program was developed was to introduce water safety as many students in the district reside in areas near open water sources, said Sandra Flinn, Aquatics Center Coordinator Flinn, a former collegiate swimmer at Texas A&M University and swim coach for over 25 years, sees the benefits of introducing these skills early on. The SEAL Swim program will take place during students’ physical education periods and each second grade class will have a designated period during the year to participate. Keeping the quality of education in mind, there will be a certified instructor for every eight students with lifeguards on duty at all times. The process for seeking certified and qualified individuals has been so thorough that Flinn is confident that the community will be blown away with the qualifications of the staff, she said. Parents will also be informed every step of the way as they will receive an overview of the program with an option to decline their child’s participation. Much time and preparation has gone into the development of the SEAL Swim program, but for the school district, it’s been a worthwhile venture to promote the three A’s, Academics, Fine Arts and Athletics. 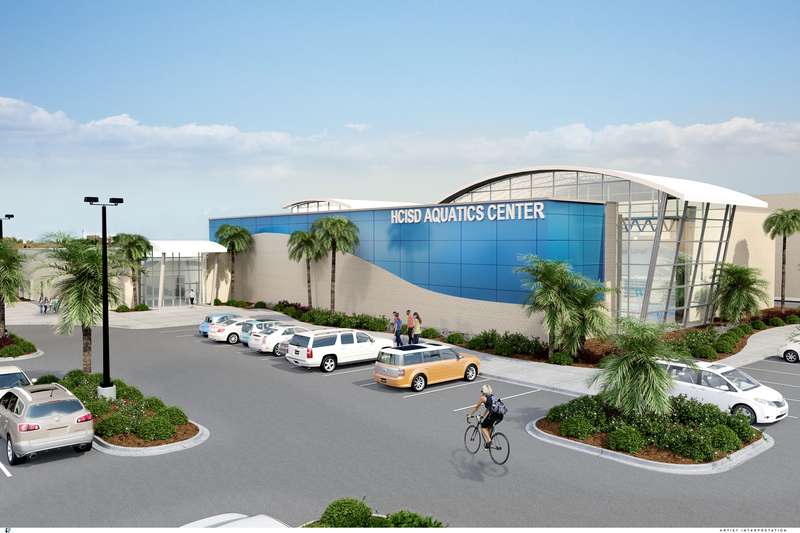 In addition to the water safety program, the facility, which will open during the 2014 – 2014 school year, will be home to the district’s secondary campus swim programs and serve as a competition facility. Located on the east side of Harlingen’s J. Lewis Boggus Stadium, S. 13th and E. Jackson, it includes a 10-lane 25-yard competition pool, a separate fitness pool and a diving well. Spectators are also welcome as the facility has over 400 seats. In previous years, students used city facilities to train for competitions, but now with the high quality equipment they will have access to, students are looking forward to the impact it will have on their competitive season. It’s not only students that are excited, parent Tina Garza is looking forward to what the facility will mean for fellow supporters and their competition experience. Although in progress, there are also plans to expand the facility’s services for staff and community use. Voters approved the new facility in May 2010 as part of the $98.6 million bond initiative. Additional bond projects include the AG Farm, Performing Arts Center, the new Memorial Middle School campus and Boggus Stadium renovations.